The family of the late Mac Miller is not cool about unsanctioned, "fraudulent" memorial fundraisers planned in his name and wants to make clear that there is only one official one—the Mac Miller: A Celebration of Life concert. The rapper was found dead at his Los Angeles home in September after suffering an apparent overdose. He was 26. He is survived by parents Karen Meyers and Mark McCormick and brother Miller McCormick. 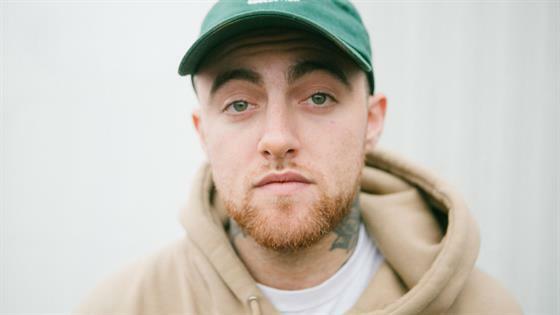 "The family of Malcolm McCormick, known best to the world as Mac Miller, has become aware of a number of fraudulent events recently announced under the guise of fundraising for causes on his behalf," the rapper's rep said in a statement to E! News on Thursday. "It should be known that the only event sanctioned by his family and contributing to The Mac Miller Circles Fund is the Mac Miller: A Celebration Of Life event taking place in Los Angeles on October 31," the statement said. "While the intent of further celebrating Malcolm's life through these various efforts is appreciated, it is important that it be known to paying fans which of these are official or not. For all official Mac Miller news and information please refer to tmmcf.org." The Mac Miller: A Celebration of Life event will benefit and honor the launch of the Mac Miller Circles Fund (MMCF). The show will take place at the Greek Theatre in Los Angeles and feature performances by artists such as Travis Scott, Chance the Rapper, SZA, Ty Dolla Sign, John Mayer and Vince Staples. Net proceeds from ticket sales will be donated directly to MMCF, whose goal is to assist young people in underserved communities by providing them with access to resources related to creativity and community building.